I can't quite believe we have reached the end of yet another year. For me 2014 has been a roller coaster of a year full of fun, excitement and new adventures.I learnt so many lessons this year and have really grown as a person (not literally, that's not going to happen) and although I definitely experienced some lows, this year has been absolutely amazing so I thought I would take a look back at everything that has happened and my favourite posts of the year. January - As I am now fully in the routine of A-Levels I am finding it so hard to believe that it was only this year that I was taking my mock GCSE exams in preparation for the real deal in May. January was also the month when I recieved my first GCSE result, and I was over the moon to find out I was awarded an A in my English Language exam. February-May - These 4 months were spent preparing for my actual GCSEs, this also meant a lot of time was spent binge watching Pretty Little Liars, The Fosters and Gossip Girl in procrastination for actually revising. As well as going through a few health scares myself, I also suffered a shock family bereavement, this is when I began to learn some real life lessons and started to appreciate how lucky I am to be living the life I do, with the supportive friends and family I am blessed with and the opportunites I am fortunate to have. I also hit a few blogging milestones in this period including celebrating my 2 year blogiversary in April and a series of Coachella inspired posts became very popular. June - After finally putting the pen down after my 22nd GCSE exam paper, June marked the start of what everyone told me would be the best summer of my life. I started off my 12 week summer holiday with a BBQ and water fight with my friends. Another BBQ was in order when I headed down to Mother Iveys for a spontaneous night of camping with friends and I then spent a week abroad with my mum in Tenerife. July - One of the highlights of this year was definitely Prom which marked the start of July, getting dressed up and spending a night with my school friends was the perfect celebration to the end of exam season. July was also a month of blogging milestones when Ellie and I got invited to our first blogging event at Lush. I also spent a lot of time with my friends, many Pretty Little Liars days happened and of course a F.R.I.E.N.D.S. day was soon to follow. August - I was so fortunate to spend my 16th birthday in Zante, Greece with a load of my family as we all went out to attend my cousins beautiful wedding. I then came home to the anxiously awaited GCSE results day and a rather unexpected nomination for the Ice Bucket Challenge. I finally decided to end my Summer with a dramatic hair makeover which seemed to shock all of my friends and family. September - After a wonderful 12 weeks of Summer, it was finally time to go back to school, or in my case Sixth Form! This meant many changes, including a load of new friends,the opportunity to study part time at an all boys school and a completely new routine which inevitably comes with the jump from GCSEs to A-Levels. And of course, September was the month I stressed out about what to wear to school every morning with my first weeks of non-uniform rules, this eventually stopped by the start of October. October - I continued to get closer with new friends and finally got into the swing of A-Levels. I also attended The Vamps concert with my friends and even managed to meet X-Factors Luke Friend. In terms of Blogging I hit a milestone in page views and the #TeenBlogSeries drew to an end. I ended October dressed as a broken doll with a great family halloween party at my best friends house. November - This was definitely a busy month. I spent the half term with my Dad in Blackpool to see the Illuminations before heading to Bolton to visit my family. The next week was spent standing in rivers with water up to my waist as I ventured on a Geography field trip to Slapton. November was then ended with an amazing week in St Ives with my new media family from the boys school. I definitely did my fair share of packing in Nobember as I travelled from place to place. December - My favourite month of the year, as the festive spirit spreads I tried to make the most of the holidays, this included a theatre trip to see Elf, a Christmas party dressed up as a cracker and of course the Christmas holidays spent celebrating with my family and friends. Hopefully tonight will be the perfect end to the year as I celebrate the start of 2015 with my family. 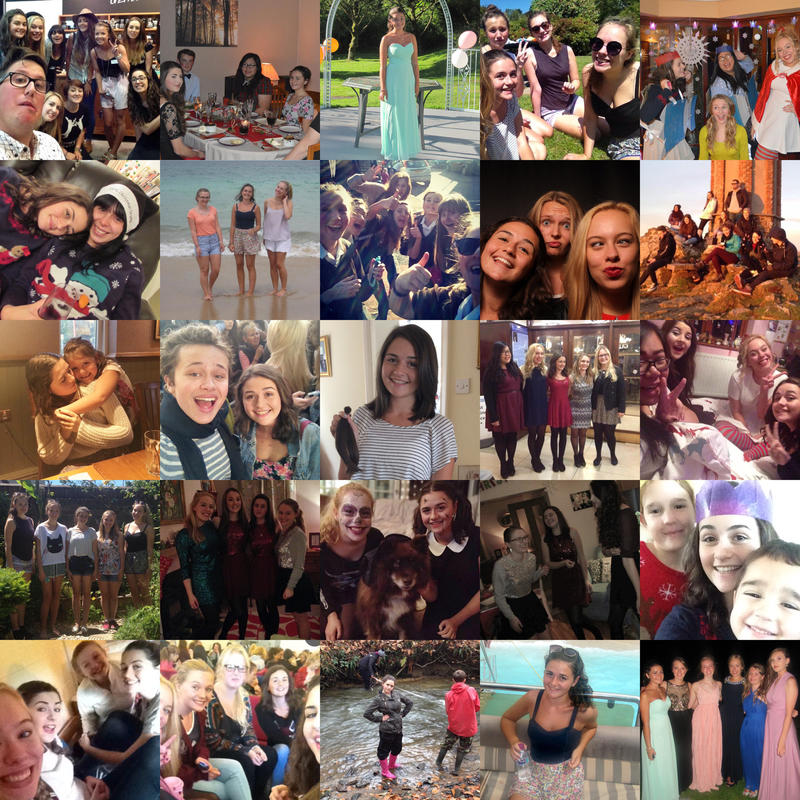 Looking back this year has been amazing and I couldn't have wished for it to be any different. I have enjoyed spending quality time with my friends and family as well as meeting new people who I now can't imagine my life without. I hope you have all had a wonderful year and that 2015 will bring you all the joy and happiness you could wish for. Thankyou for all your support this year and I hope that you all stay with me for all the adventures and excitement that next year will bring.